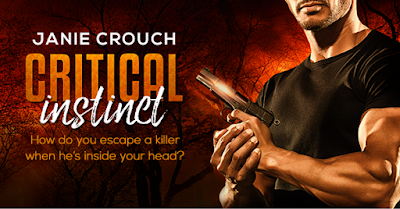 Just Romantic Suspense: CRITICAL INSTINCT – New Territory for a Seasoned Author! CRITICAL INSTINCT – New Territory for a Seasoned Author! Congratulations to "Trude V.", the winner in Janie's giveaway. Thank you to all who participated! 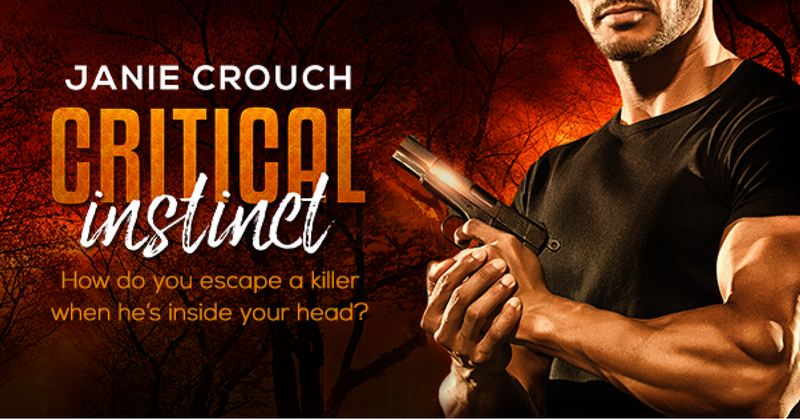 It’s release week for CRITICAL INSTINCT, the follow-up to my award-winning novel Primal Instinct. Unlike all my other novels so far, Critical Instinct is not published by Harlequin Intrigue because, as you know, all their books must be close to the same length. 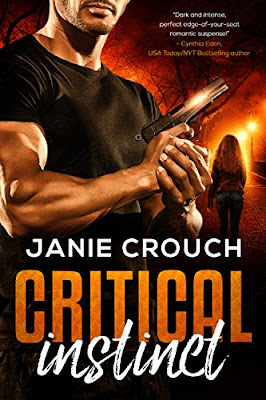 My editors loved the idea for Critical Instinct, but it was a longer and more involved story (in terms of both the mystery and the romance), so Intrigue couldn't publish it. So, it’s not a Harlequin Intrigue, but it is a great story! If you like your romantic suspense with more yummy romance and danger… Critical Instinct is a read for you! Every single person Paige has drawn has ended up dead. And now she's drawn herself. Paige Jeffries is the darling of the art world. Her works are original, compelling. But after a brutal attack two years ago --a savage beating from an unknown assailant--Paige has become all but a recluse. She knows her mind is broken. In her sleep she's drawing scenes of violence. Murders. Going to the cops isn't an option because they already think she's crazy. And they may be right. And he's coming for her. Haven’t read Primal Instinct (Adrienne Jeffries’– Chloe’s sister’s story)? I’m giving away a copy of that (or any other of my backlist you would like), to get you ready for CRITICAL INSTINCT! Just comment below with a favorite hero and/or heroine’s name for a romantic suspense book. Giveaway ends 11:59pm EST April 11th. Please supply your email in the post. You may use spaces or full text for security. (ex. jsmith at gmail dot com) If you do not wish to supply your email, or have trouble posting, please email maureen@justromanticsuspense.com with a subject title of JRS GIVEAWAY to be entered in the current giveaway. I like Grady for the hero...Sophia (Sophie) for the the heroine. I would pick Gabriel or Gabe. I have to admit, my favorite character names are Eve and Roarke from JD Robb's In Death series.